Jack in the Box staff lock selves in freezer after Open Carry Texas arrives heavily armed. 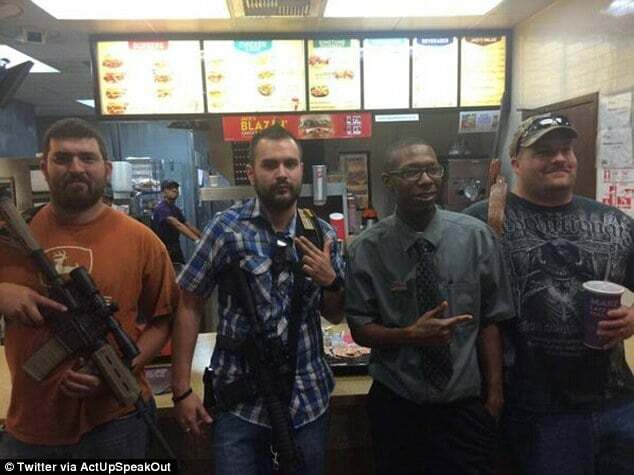 Employees at a local, Fort Worth, Texas, Jack in the Box fast food outlet took for cover after members of pro gun group, Open Carry Texas dropped by for a snack. Hid in the freezer that is because they thought there were in the midst of being robbed by the heavily armed men who insisted they were simply holding their right to maintain arms in public, as the Texas constitution allows. 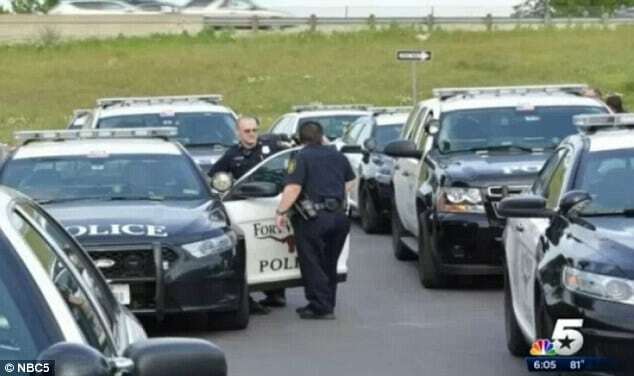 Although the men had only come to peacefully demonstrate their right to bear arms, police weren’t so sure after at least a dozen police officers showed up . Following the encounter, the members returned for another meal, this time taking photos with employees who by now had retreated from the freezer. The latest willful display of arms has stirred controversy as to whether gun right advocates should be so blatantly showcasing their weapons and if by proxy although arguing that they simply want to be able to protect themselves are in essence promoting violence. 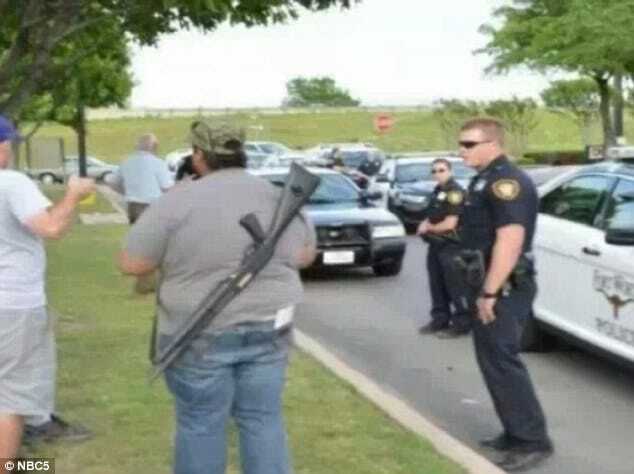 That said, whilst Texas’ constitution allows its citizens to bear arms one is inclined to wonder about the merits of brandishing them in fast food outlets whilst customers are sanely trying to feed themselves, and suddenly having them along with employees fearing for their very own life, which in essence may have been the real aim of the purported protest…? The above photo with the Jack In The Box employee was taken on the next day. The “Demonstration” was Thursday and was not actually in front of Jack In The Box but was down the street. As mentioned, the photo was taken on Friday after our walk to the same location and had 4 different cop cars drive by us a wave. We only went into Jack In The Box after we gained permission from the Manager on Duty (Employee posing with us) and then we ate our food. I wonder how long it took the police to show up. No wonder the employees hid in the freezer – they knew they couldn’t count on the cops to show up in time if something did go wrong.